Hello hello! 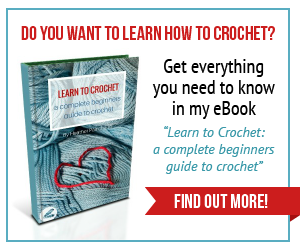 I am super excited to share todays project with you! 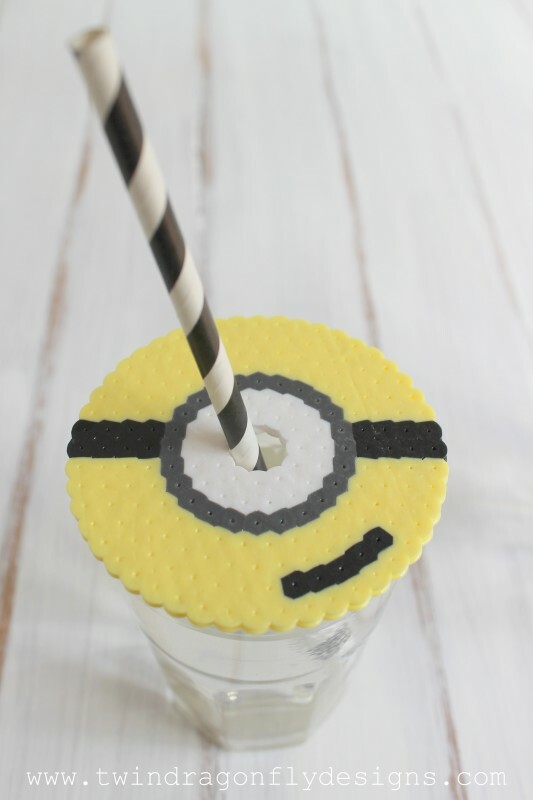 Because seriously, have you ever seen anything more fun than these Perler Bead Minion Cup Covers?!? 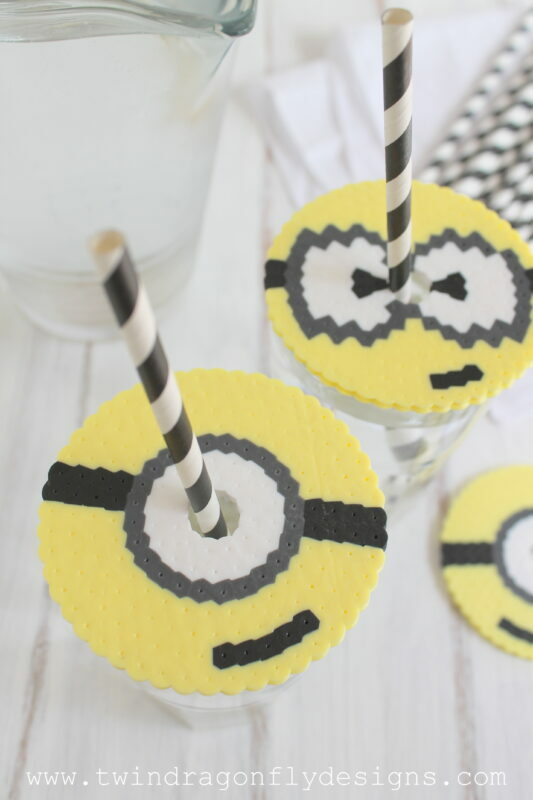 Perfect for summer fun on the patio and just in time for the new Minion Movie out last month. Our boys LOVED it! 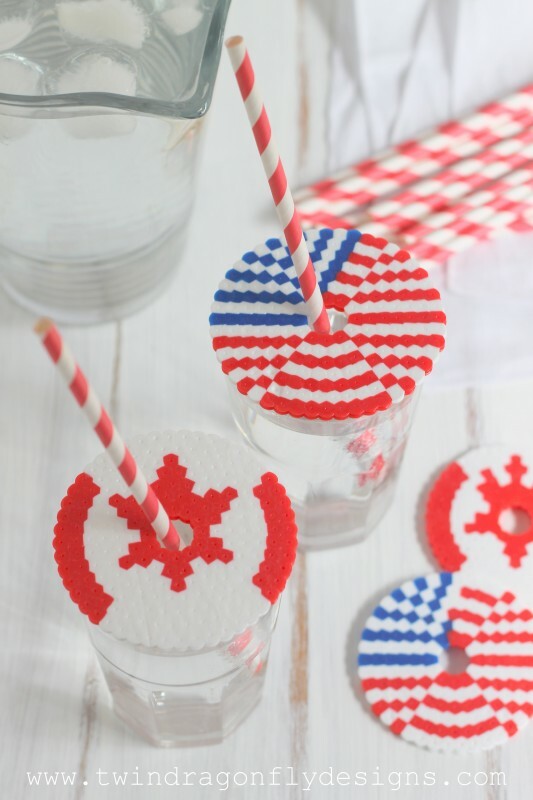 We came up with this idea after creating our Patriotic Perler Bead Cup Covers and deciding that Minions would be the perfect size and shape for a few more kid – friendly cup covers. 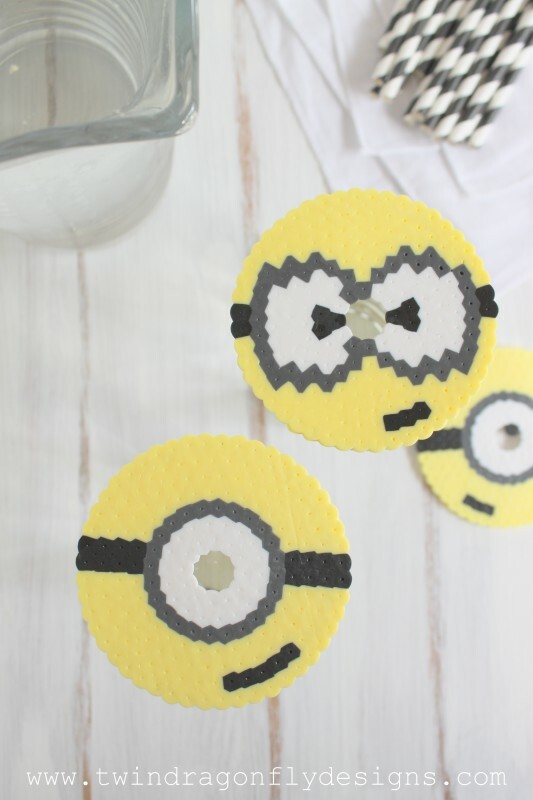 And they are so easy and fun to make that the kids are sure to get in on the action! 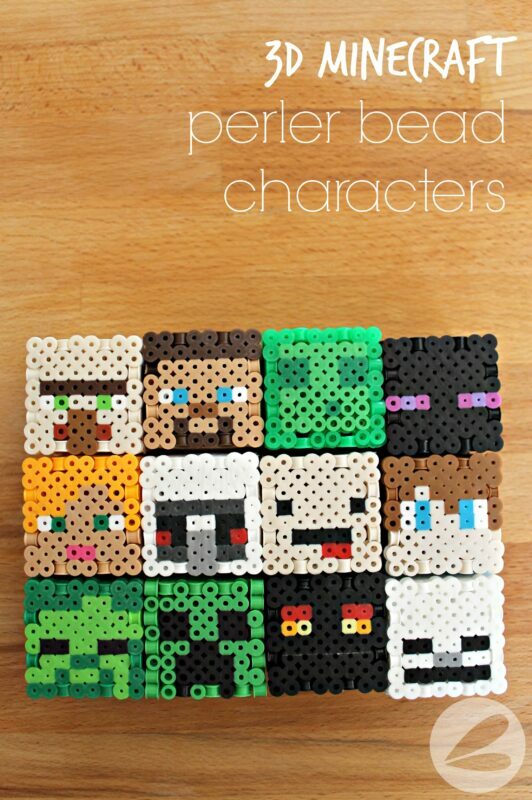 I don’t know what it is about perler beads but our boys are still obsessed with making stuff and have recently moved on to more Mario characters. 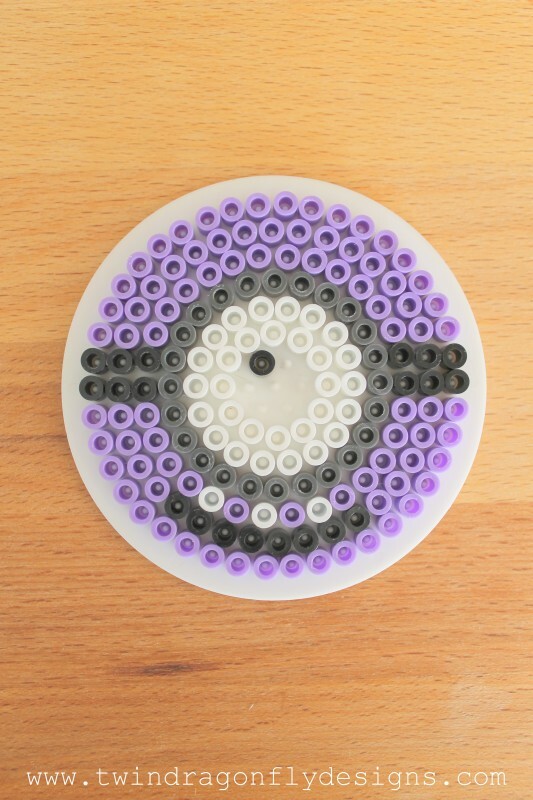 We’ve discovered that stepping on perler beads is just one level below stepping on lego! They’re everywhere! We even made purple Minions! (Isaiah’s favorite). I think that we should add a little crazy purple hair to this one don’t you? Their hair is my favorite part! Or hot glue purple monster hair from the fabric store?!? 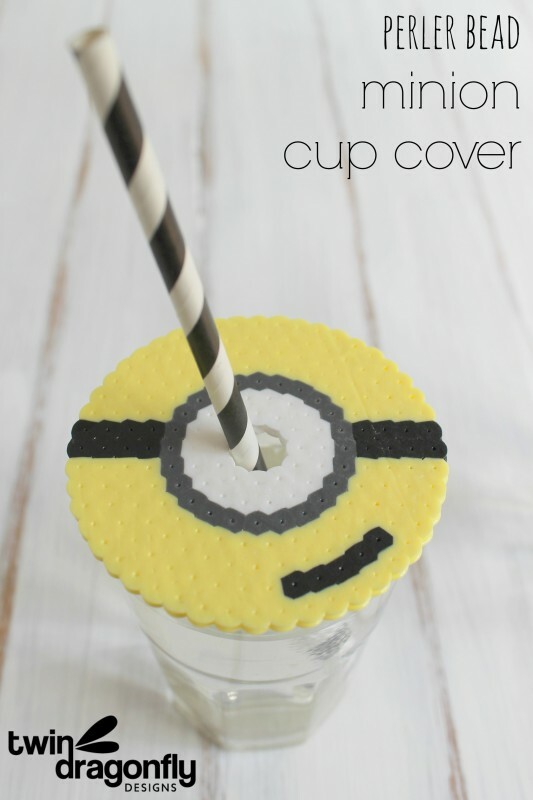 Okay I may need to upcycle this Minion cup cover soon! So many fun possibilities…. Creating these cup covers is truly a very simple process. 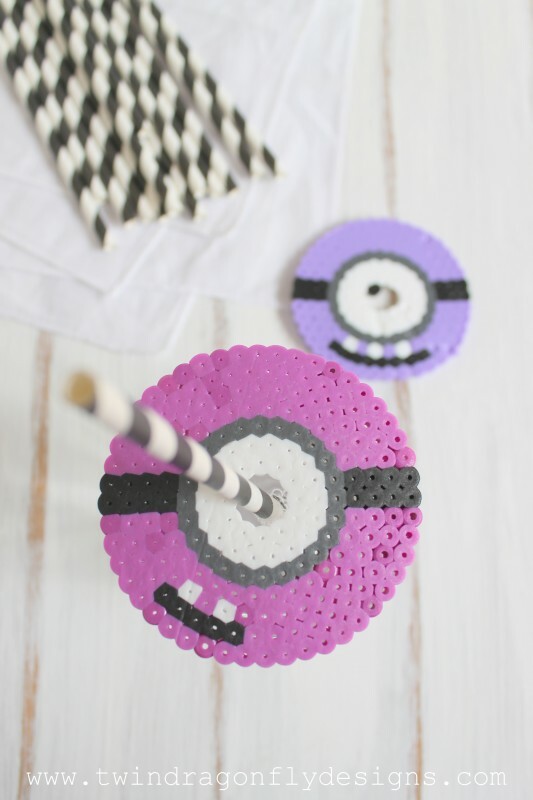 Using a circular peg board, fill it in with your pattern of choice, make sure to leave a hole in the center for a straw. 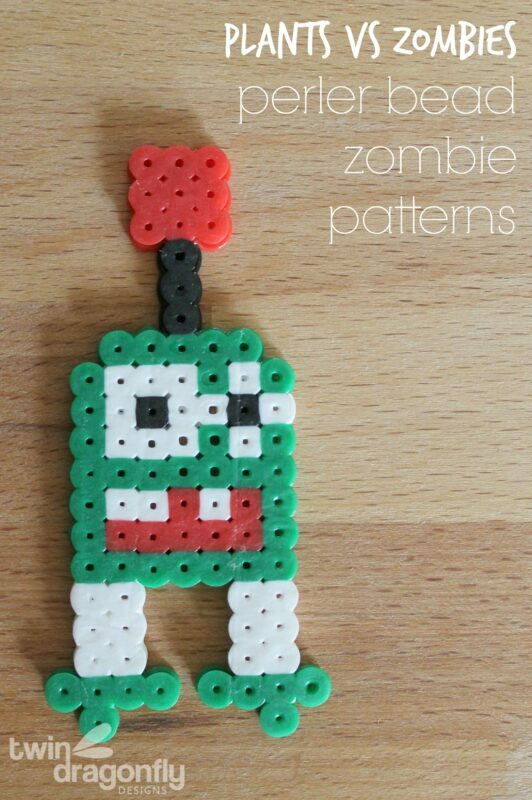 Iron the perler beads together and Voila! Super fun cup cover! Which ones are your favorite? One – eyed or two – eyed Minions? 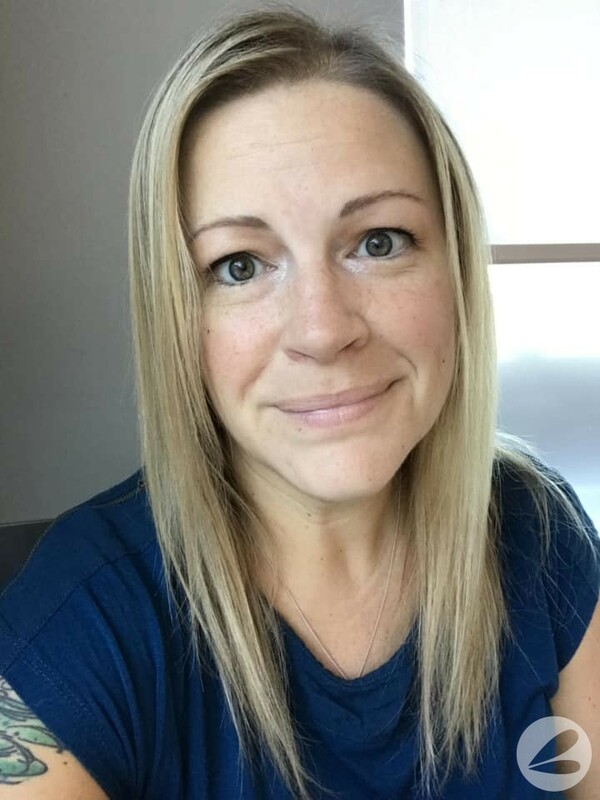 Did you take your kids to go see the movie? What did y’all think? We bought tongue tattoos (total fail – not recommended) to celebrate when we watched and had a ton of fun! Originally featured on Crafts Unleashed.